There’s a TON of Disney world news sources out there. Even as immersed as I am in the WDW media I still come across new ones I’ve never heard of all the time. And when you’re planning your next Disney vacation or just trying to keep up with Disney News you’re inevitably going to start googling or searching on social media to find the information you need. But here’s the thing you guys need to know: not all of these sources are reliable. Some deal primarily in click bait controversy, or things that are “rumored” but not confirmed. It’s not that the article isn’t good, it may be well-written, but the problem is Disney World changes. Constantly. Every year there’s new things, things change, they close, they move locations and times. If you’re basing your trip on outdated information you’ll come across some problems. 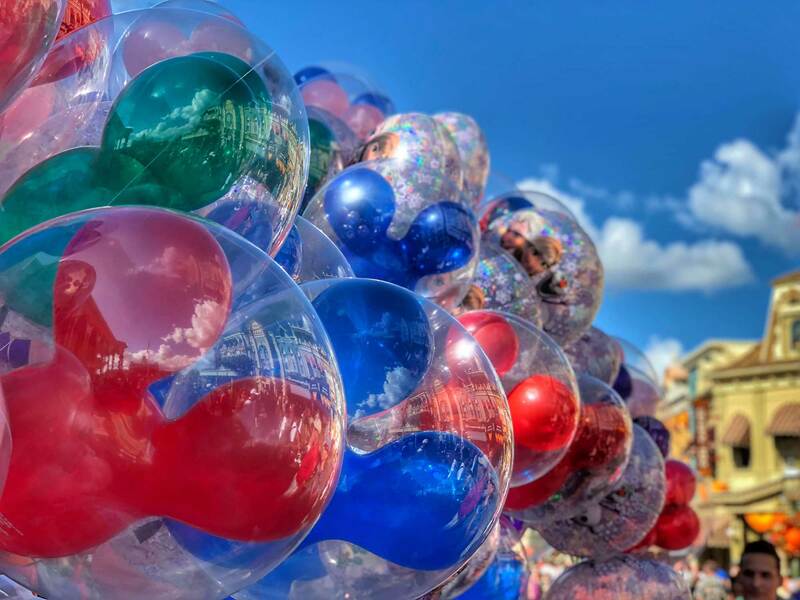 If you’ve become a regular reader of mine, then hopefully you already know that it’s my goal to make sure people have the information they need to plan a great Disney World trip. That encompasses a lot of areas. So I’ve gathered together THE ULTIMATE LIST OF WDW RESOURCES. And I’m sharing this list with you. You can consider every person or site on this list to be a personal endorsement from me. I appreciate their accuracy, the quality of their content, their attention to staying updated, and their overall respect for the Disney company and their own audience. These are the people I keep bookmarked, have notification alerts on, and who I search (or even message) when I have a question of my own. So if you’re looking for the BEST Walt Disney World information, start here. And also, might I just add my own personal plug to first begin by signing up for my free weekly WDW newsletter which will help you keep up with everything you need to know delivered right to your inbox every Tuesday. I may add to this list over time as I think of new ones to add. All these guys have sites and are on lots of social media networks too. So I’m linking to their website, and then you can find their social links from there. Attractions Magazine – this family run news company has been one I’ve followed going way back before I moved to Orlando. All though they cover more than just WDW, (like Disneyland and Universal) they are always reliable, unbiased and one of the first to cover breaking park news. They have an excellent reputation in the theme park community. Check them on YouTube and Twitter especially. Runner up: WDW Magic– they only do Disney World and basically stick to news updates (whereas Attractions does all theme parks, YouTube videos, live shows, POV rides, etc). If you just want the latest Disney World Updates they’re reliable and up to date. They also have a calendar page that’s handy for park hours and parade and fireworks times. Disney Food Blog – I can’t tell you how often I refer to DFB or send out links to their info for replies to questions. AJ and her team cover everything food based at Disney and their restaurant and food reviews are reliable and I find I almost always totally agree with their assessment. Touring Plans – I’ve used Touring Plans since their first year of business. I wouldn’t plan a Disney World vacation without them. There’s a small yearly fee to gain access, I think it’s around $15. But when you consider how much you spend on your vacation, it’s a small fee for valuable information. What you get is a calendar with crowd level charts for every day of the year. Detailed by each park and even each hour, you’ll be able to not only choose the best week to go, but just as important- choose the best park to go to each day. Here’s a screenshot of the next three days so you can see what it looks like. There’s a lot more you get for the subscription, but that’s the primary thing I use and it’s worth it just for that. I still subscribe even with living here. Their app is just so easy to use and I love being able to quickly see a 10 day forecast of every park, the crowd levels, and the hours. A close runner up to Touring Plans would be Undercover Tourist. They’re crowd calendar isn’t as accurate or detailed, but it is a free service if you just want to get an idea of crowd levels. WDW Prep School – Most of my audience and readers have at least some experience in planning Disney trips in the past. But for those that are starting from the beginning, OR have anything that complicates their planning (like large family, multi-generational group, special needs, etc) I send them to Prep School. Shannon is brilliant with taking complicated information and breaking it down into something simple. She’s got great planning tools and charts that cover pretty much everything. And she works hard to make sure her information is up to date and accurate. She’s got a big presence on Facebook if you want to follow her there as well. WDW Entertainment – I’ve mentioned this site before and it’s still my go-to for information on the Disney shows and entertainment. Disney doesn’t publish everything, and what they do publish isn’t easy to find until you get to the park and pick up the times guide. But sometimes you need to know the times before you arrive. Steve Soares keeps his info so up to date I swear Disney gets their times from him and not the other way around. I keep the site bookmarked and refer to it whenever I want to make sure and hit a certain show or character. Kenny the Pirate – Kenny has a premium subscription service called Character Locator. If seeing characters is a huge part of your trip then this is the site for you. He tracks every character in the parks- their exact location, and even their specific set times. (Not just the “meeting occasionally between 12-6” type of thing that Disney gives you) He also adds in the characters for the special events and parties too. Like I said, this won’t be necessary for everyone, but if you’re a character hunter who loves those newt & greets then this can be hugely helpful. It’s $10 a year for the service. PhotoPass on Facebook – If you have the Disney PhotoPass package added to your ticket (or included with your Annual Pass) then you may be interested in seeing what the latest locations and Magic Shots are. Magic Shots are those special ones that insert a character or other item into your picture. Like Tinkerbell flying over your head. They’re always adding new shots and changing them seasonally. On their Facebook page they keep an album of all the current options available. So it’s handy to bookmark if you want to catch a certain shot. Disney Parks – the only official resource I follow is Disney parks on Twitter. They typically are not (ironically) the first to release new info, but this is the best place to get the official press releases and it’s where they post of they host special events or meet ups in the parks.